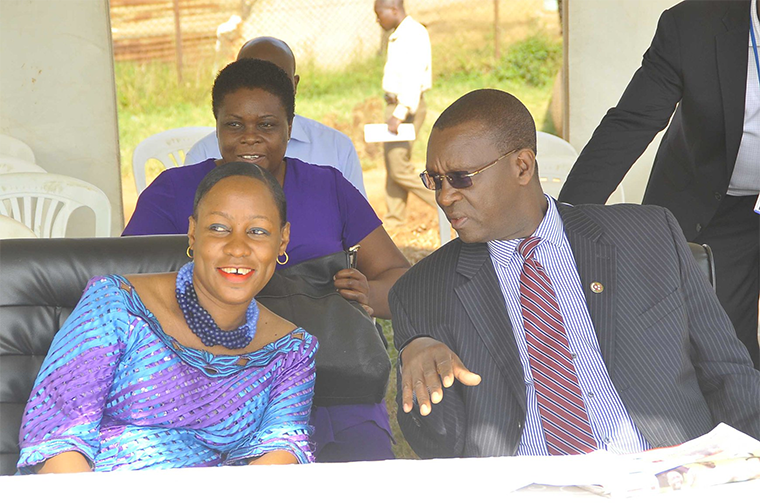 Ministry of Gender PS Pius Bagirimina with minister of state for Youth and Children Affairs Nakiwala Kiyingi. The auditor general, John Muwanga has released a new report revealing that government may never recover Shs 28.4 billion disbursed to youth groups across the country under Youth Livelihood Project (YLP). The AG found that almost 64 per cent of the sampled youth projects, consisting of 71 per cent value of loans, were non-existent and another 25 per cent had reportedly embezzled the funds. The Youth Livelihood Program is rolling fund project that targets poor youth across the country is implemented by the ministry of Gender, Labour and Social Development. 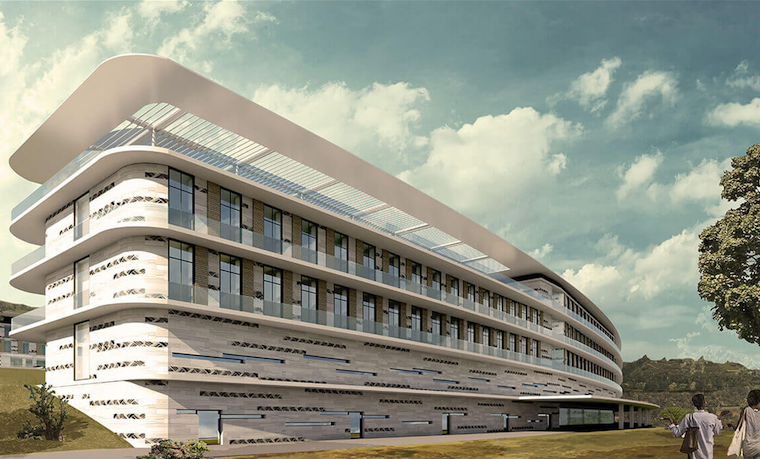 A total of Shs 231.2 billion was budgeted for the project in financial year 2013/2014 to financial year 2017/2018. However only Shs 161.1 billion was released for the program resulting in a shortfall of Shs 70.1 billion. Despite the underfunding of the program, auditors have also faulted the ministry for the manner in which funds have been (mis)managed. They pointed out that out of the Shs 38.8 billion that was disbursed to 5,505 youth groups in the financial year 2013/2014 and 2014/2015, on average, only 26.7 percent was recovered from the youth countrywide. "There is high probability that the balance of almost Shs 28.4 billion may never be recovered as almost 64 per cent of the sampled projects, consisting of 71 per cent value of loans were non-existent. Another 25 per cent had reportedly embezzled or diverted the funds," reads part of the summary audit report. However, auditor general notes that the program registered some improvements between financial years 2015/2016 to 2017/2018. According to the report out of a total amount of Shs 83.3 billion disbursed to 10,444 Youth Groups, there was a noted improvement of recoveries ranging from 24 per cent in financial year 2015/2016 to 60 per cent in 2017/2018 which is still below satisfactory performance. Meanwhile, out of Shs 18.1 billion recovered from the groups at the time of audit, Shs 16.1 billion had been transferred to the Revolving Fund in Bank of Uganda. Besides, only Shs 8 billion had been revolved to the groups and the auditor general says that delay in revolving funds to other eligible groups undermines the ultimate goal of the program. If 231 billion was government revenue for the youth, then that is about 350 billion shillings of tax money collected by the government. It takes government 20 billion shillings to collect about 95 billion shillings from taxation. To have a last sum of money of about 8 billion as revolving funds for other eligible groups is money badly spent on this project. The remaining sum of 342 billion shillings is clearly stuck somewhere else. Until the beginning of this year, the sitting posture at Bank of Uganda’s level 7 boardroom told who exactly wielded power. The governor Emmanuel Tumusiime-Mutebile sat in the middle sandwiched on his immediate left by deputy governor Dr Louis Kasekende, followed by Justine Bagyenda, the then executive director for supervision. On the right, sat Dr Adam Mugume, the executive director, research. Mutebile called on these to answer any questions concerning their departments. “The banking sector is stable,” Bagyenda usually answered assertively to any journalist who questioned the sector’s health. Oblivious to the reporters was the power she wielded in the central bank itself both as the director, commercial banking and later executive director, supervision. Then came more revelations. That the bank was sold just hours after she pressed the padlock. That National Bank of Commerce was sold to Crane bank via a mere phone-call. If anything, this literally shows how muchpower the Heriot-Watt University Edinburgh Business School-MBA graduate wielded over the country’s financial sector. “She has been instrumental in conducting diagnostic and due diligence reviews of problem banks and has taken a lead role in resolving and liquidating failed banks,” read her profile in part. The information available shows that Bagyenda has worked as a short-term consultant to the International Monetary Fund (IMF) for East AFRITAC (East African Regional Technical Assistance Center) missions. She is chairperson of the Uganda Anti– Money Laundering Committee. Bagyenda also has a bachelor’s degree in finance and a diploma in credit appraisal. 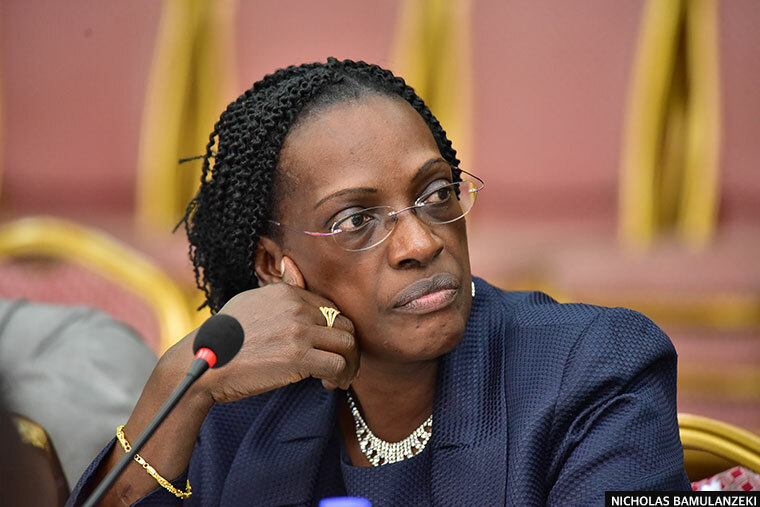 In the committee, her profile crumbled as MPs – some of whom not economists – helped poke holes into her and her former colleagues’ responses at BOU. In February, 2018 after more than 25 years at BOU, Mutebile decided to fire her with six months to run her contract. She refused to hand over office because her contract was still standing. At parliament, there have been moments that bordered on humour and absurdity. For instance, last week, on failure of directors to answer questions, Katuntu pressed to get Mutebile get in and he dropped a bombshell: “If the heads of departments can’t answer, how do you expect me to answer?” While this showed that the governor gave his officials liberty and power to carry out their roles, the Mutebile of yesterday would never say that, said one analyst. Policy analyst and economist Ramathan Ggoobi twitted rather sarcastically that the governor “should tell us [the country] who was in charge]”. In 2004, a whole chapter in the book, The World’s Banker, by US journalist Sabastian Mallaby, was dedicated to Mutebile. The journalist described him as a no-nonsense technocrat who often told off President Museveni that his policies would not work. “I told him, look, we know you are going to fail; allow us to continue preparing for when your program fails,” Mutebile reportedly told off Museveni as the latter tried to gamble the country on barter trade. So, did he hold firm even after settling in as the governor? This is the question that will be answered when the committee releases its final report. For now, the sitting posture in Cosase has mostly changed from that of level 7 – perhaps symbolic of changing dynamics at the country’s most important bank. Mutebile sat at the first chair near committee leaders, his current and former officials, including Bagyenda follow in the line. He watches on quietly as they are being baked. One is waiting to hear from the owners of these miserable banks that have been closed for now 20 years. In case they were closed up illegitimately, how much money are they going to demand from the taxpayer and from the consolidated fund at the World Bank, so that they are handsomely remunerated? They need to go back and do business as they must have learned their lessons by now. It is known in certain circles that 3 appointments are NOT appointed by President Museveni of Uganda under the GLB 'free market' economy. These jobs are the Speaker, the BOU Governor, and the IGG. The BOU is just a dummy working on the GLB orders which insisted that ALL indegenous banking must be removed from the UG market economy model. All the closed banks were closed irregularly, by the BOU, using the ignorance of the UG population about banking practice, and a hint of force. From Teefe bank in 1989, to the Greenland Bank up to the Mbabazi bank in the 2000's Uganda's indegenous banks were closed irregularly and forcefully by BOU. On each and every occasion the govt regulations and PAPERWOK which BOU as the supervisory bank should have followed in closing a running commercial bank, were NOT followed. The IGG whose role is to report on the BOU, or Govt failures is also directly appointed and paid by the WB/GLB. Both Mutebile and Muwanga have been in their respective jobs for 25+ years and are paid directly from WB. The BOU has over the years closed these banks with armed soldiers manning the doors. Customer monies in the bank were not returned to them and the individual bank assets were often stolen by BOU and UG govt officials. On most occasions BOU employees and powerful poltical figures would even steal the deposits of the customer, and assets they had pledged for loans. This gross corruption at BOU was known to Sudhir and his Crane Bank. The Mbabazi bank was liquidated and the assets given to Crane Bank. Sudhir used the gross corruption at BOU to run an unsupervised bank which was laundering money on an international scale, for years. Crane bank in fact became the de-facto central bank (instead of BOU), as other commercial banks held accounts in Crane bank, something not allowed in any other banking system. When Crane Bank had to be shut down, by the WB/IMF masters. they ordered the BOU to wind up Crane Bank and transfer the banks previously I'll gotten assets to DFCU bank. It is Sudhir Ruparella who is now taking on the BOU. He has bribed his way through the UG govt to bring on this probe. By bringing a case to show how all other banks were irregularly, and corruptly closed by a very corrupt BOU, the BOU will have to bring out details of the recent closure of equally corrupt Crane Bank. they will not be averse to accepting that Crane Bank was also 'injured' and accept the millions which UG tax payers will pay Sudhir Ruparella for the damage. Despite Sudhir stealing a lot of real estate in Kampala which he wants back too. It is not Mutebille as such who is in trouble, he is a well paid dummy for the GLB who have been running the shambles called Uganda. It is Sudhir is taking on the GLB . China money. President Museveni (centre) with Chinese engineers and Ministry of Energy officials after touring one of the tunnels (in background) at Karuma Hydro Power Project on August 23. The project is sponsored by a loan from China. FILE PHOTO. Growing infrastructural development in much of Sub-Saharan Africa has become closely connected to China in recent years. Construction of major infrastructure work is largely controlled by Chinese companies, who even negotiate loans on behalf of governments from China Banks at commercial interest rates. The conditionality for these loans is that the works shall be done by Chinese companies. Uganda is a typical example of growing Chinese influence on the continent, running to China for most of its development needs. The China-Africa relationship leaves a lot to be desired. Many questions arise from this relationship - whether in the area of trade, investment, development aid, loans and educational scholarships. These represent the multiplicity, diversity and complexity of the Chinese strategy on the continent, with potential pitfalls. It is puzzling, how deeply entrenched the roots of China and its footprints are being rapidly implanted at various levels on the continent. It is not clear if African governments are prepared and in position to comprehend the depth of their ties with China and the implications for Africa’s future development. Watching from Uganda, it is difficult to imagine that there is any understanding of the nature of ties being weaved by China and government officials. Yet, it has to be asked, is Uganda capable of regulating Chinese engagement in the country? What is the attraction to China’s otherwise very expensive loans to Uganda and other countries on the African continent? What is the attraction for China to these otherwise very poor nations? What are the implications for freedom of choice for development priorities? I will start with the first issue of regulation. It is evident that Uganda does not have the capacity to regulate China’ engagement within their jurisdiction. They have become beholden to China for the financing of expensive capital projects such as roads, power dams, optic fibres, among others. Part of this is because of lack of accountability and transparency, which have led to accumulation of debt that is untenable from previous partners, much of it lost in corruption rather than what it is borrowed for. The Ugandan government and others on the continent do not, therefore, want to deal with the questions that arise out of effectiveness of loans taken before and fiscal austerity. As such, China becomes a partner that appears indifferent to these concerns and do not care about the track record of paying back and efficient utilisation of the borrowed resources and governance issues that is the obsession of Western donors and lenders. Through this mechanism, officials in government loose the moral authority to question the Chinese and to pay due diligence, rendering them incapable of providing adequate regulation. This is the real attraction for the Ugandan government to China’s expensive loans and technical support. The second issue of what is the attraction to China’s otherwise expensive loans to Uganda and indeed most of Africa is that much of China’s engagement happens in an opaque manner, making it impossible for citizens to question choice of projects or demand value for money for these projects. Much of what happens is outside of the knowledge of citizens. In order to appreciate this, one must examine the manner in which China varies strategies, from trade to investment in various projects and to providing aid and loans simultaneously. Within the infrastructural projects, there is evident transfer of technology and even human resources that happens in a clandestine manner. This secrecy complicates attempts to regulate China’s engagement but also limits Uganda’s choices. But one must also think about the role of the government or at least some of its actors, in possible connivance with the Chinese government. President Museveni’s response to purported delays in clearing Chinese companies to operate in Uganda over scrutiny of tax exemptions are an indication of some of the things that remain unclear in this cooperation between China and Uganda. While asking what the attraction to China’s expensive credit might be is important, it is also crucial to question what the attraction for China is to these otherwise poor countries, within the context of helping them. While it cannot be disputed that China is a huge economic power, it cannot be trusted, particularly its motives and methods. It is not possible to imagine that China is simply trying to help a poor nation. What is clear is that China has moved from being a trade partner, which dominates trade anyway, to a key stakeholder in infrastructure development and lender to Uganda. What is the attraction? Of course, like colonialism’s simple allure, natural resources and minerals are the key attraction, let us make no mistake. It is almost as if China is leading a fresh attempt at re-colonisation of Africa, moving beyond the neo-colonial narrative. China is thus using Africa’s governments, with a lot of hunger for personal accumulation of wealth, their desperate desire to cling to power and its own economic power to take advantage of these countries. With the guise of non-partisan involvement or no political interference, China is getting away with incredibly so much. The problem is, it is the African people that will be dispossessed by the ruling elite and political class, who are accomplices of China today. As for the implications, these are numerous. Recent media reports about the takeover of a Zambian Corporation by China over the failure of the Zambian government to pay back some loans and the takeover of a port in Sri Lanka are just some of the beginning signs of what has been going on for years. It will not be surprising if China begins to control strategic ports in Africa. Much of these loans are far too expensive for developing countries to service effectively, which leaves such takeovers inevitable in future. For example, a multimillion dollar project, which is mismanaged, poor quality work and lack of local content can be very dangerous for a country. Moreover, these loans are put in projects with limited capacity to deliver a high rate of return in the near future, with real impact for the poor of these nations. There is an urgent need to contextualise these loans and the potential for them turning into death traps for poor people. Unless an honest attempt to operate with China in transparency and accountable way is cultivated, eliminating the current secrecy that surrounds much of what is done, then we can say we are courting crisis. There will be a generation of Ugandans that will have no idea how to redress any wrongs. There might be need to redefine our jurisdictions, if our independence and sovereignty is to be upheld in future. Most importantly, we must look beyond the official narrative and what is obvious, to seek to understand the deeper meanings of China’s engagement in Uganda and Africa in general. What is sad, is that Africa is allowing China to shape the conversation on their economic development in what is clearly an unequal partnership from which only China stands to massively benefit in the long run, with limited possibility for socio-economic transformation of Uganda and other African countries. Africans need to develop a sceptical attitude towards all these investments and development support, deeply engaging with it. While for China, this is a matter of hegemony and power, for Africa, it is a matter of life and death for the majority poor of its inhabitants. Multinationals need to come to the aid of Africa to avoid the worst crisis in the nearby future. Trap? China’s increasing influence through lending money that some countries cannot pay back, according to some analysts, has opened Africa to new challenges. Some analysts are calling it “debt-trap diplomacy” as such countries are forced into concessions when they default. For instance, according to the Centre for Global Development report, Sri Lanka, which holds about $1b in Chinese debt has been forced to surrender one of its ports to Chinese government-owned companies for a lease of 99-year. Uganda is among the 20 countries on the African continent where China has massively invested. The Asian country, according to data from US-based research think tank – Brookings - is working on more than 89 projects shared between 45 Chinese companies. However, other East African countries such as Kenya and Tanzania hold much more in Chinese loans compared to Uganda. For instance, Kenya holds more than Shs19.2 trillion (($5.202b) in 137 projects worth of Chinese loans, while Tanzania currently has more than 149 projects funded by Chinese firms. Nigeria, South Africa, Zambia, Ethiopia and Egypt round off the list of five countries with the largest amount of Chinese loans. As of March 2018 Uganda held Shs14.6 trillion ($3.9b) in debt to the World Bank compared to China’s Shs6 trillion ($1.6b). Loans from the World Bank or African Development Bank and China are differently structured. For instance, loans from the World Bank are structured as concessional and mostly carry a 10-year of grace period compared to those secured from Chinese which carry immediate interest rates. According to data from Alpha Capital, almost 50 per cent of loans from China are offered on commercial terms while the World Bank and International Development Association (IDA) provide concessional loans. IDA loans are mostly earmarked for education, health and other social services while Chinese loans tend towards infrastructure projects such as roads, railways and power plants. The bulk of the Chinese loans have been directed towards infrastructure financing, especially in projects such as Karuma, Isimba and some national roads. China Exim Bank is one of the key agencies funding transport projects such as the Malaba-Kampala Standard Gauge railway, Kampala-Entebbe Express Highway and expansion of Entebbe International Airport. Parliament's Public Accounts Committee (PAC) yesterday tasked ministry of Gender, Labour and Social Development permanent secretary Pius Bigirimana to explain queries raised by the auditor general in his FY 2015/16 and 2016/17 reports. Among the queries raised by the auditor general John Muwanga in the reports, is the existence ghost beneficiaries under the Youth Livelihood Programme (YLP) - noting that about 527 million of the fund money is non-traceable. The money was allegedly spent on ghost groups in 30 districts randomly sampled during the audit period. Muwanga also raised concern in the 2015/16 financial year audit report that Bigirimana was compensated Shs 43 million for sustaining injuries in 2013 in the line of duty, yet police officers with claims dating back to 1996, have been put on the waiting list for all this time. Appearing before the MPs, Bigirimana in his defense said the existence of ghost beneficiary groups should be directed to district accounting officers since payments are based on clearance by district authorities. He however, said he had taken note that, groups that collapsed or changed location and business direction after receiving funds had been captured as ghosts by the auditors. 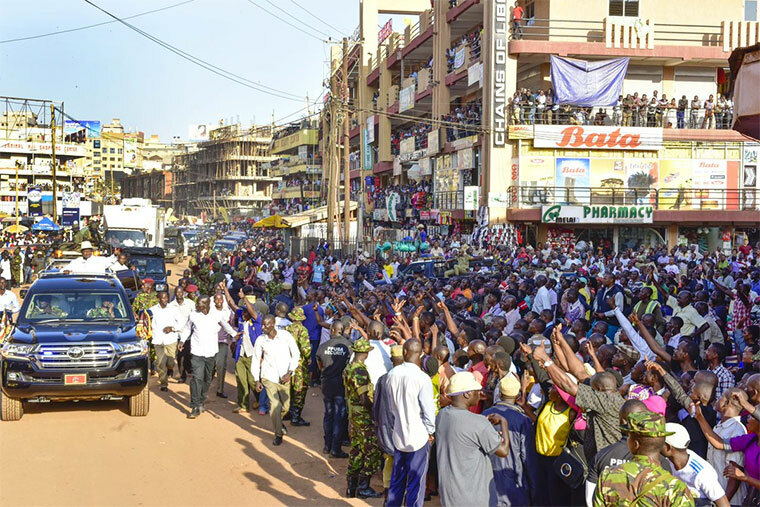 "There were four categories; those that changed course of business; those that changed physical location, as well as groups that split immediately after formation and those that collapsed after their members got married," said Bigirimana. According to the AG’s report, the Youth Livelihood Programme lacked a proper accountability framework or detailed guidelines for accountability of the revolving funds. Muwanga said that implementing entities under the programme accounted for funds differently, noting that this isn't only a recipe for improper accounting for funds, but also impedes comparability of accounting reports across the implementing entities. According to the auditor general, overall recoverability of the funds as at 28th October, 2016 stood at Shs 5.5 billion - a paltry 39 per cent of the Shs 14.2 billion that was due for repayment by the beneficiaries. YLP was rolled out in 2014 and the first recovery was expected in 2016. Bigirimana attributed the low recovery rate to the fact that the programme had just started and that many projects were yet to yield results, adding that those that ventured in agriculture were affected by drought and the Fall ArmyWorm. Gaffa Mbwatekamwa, the Kasambya County MP tasked Bigirimana to explain the failure by his ministry to wipe out corrupt officials from the ministry and local government administration units who ask for kickbacks from the beneficiaries. Dorothy Azairwe Nshaija, the Kamwenge Woman MP also expressed concern about the failure by the ministry to sweep out ghost groups. Masindi Woman MP, Jalia Bintu tasked Bigirimana to explain the steps being taken to ensure such incidents don't happen again. Bigirimana concurred with the legislators, saying that they have had such cases but argued that the MPs should also get involved since the program is comprehensive and involves district authorities. He said that in Katakwi, the chairperson of Usuk LC III was arrested after he colluded with his own to defraud the fund of Shs 10 million. At least Shs 7 million was recovered. He said similar cases had been recorded in Gulu and other districts and that action had been taken. On the irregularities in the issuance of workman compensation, the MPs noted with concern the unclear criteria for compensating government employees who suffer occupational injuries and other forms of hazards while at work. Masaka Municipality MP, Mathias Mpuuga tasked Bigirimana to explain the criteria used to pay workers who have been injured and who determines the dangers. In his response, Bigirimana, said compensation is paid on first come first serve basis except where the situation is worse and dangerous. Asked to explain further, Bigirimana said priority is given to people who sent in their claims earlier, which are assessed by him as the PS and other committee members for payment. Mpuuga insisted that there are complaints of unfair treatment and favouritism from unpaid workman claims, saying the matter shouldn't be disposed until Bigirimana presents approval details. Bigirimana said there is a committee composed of the accountant, himself and the commissioner for labour that takes charge of handling claims and approving benefits. Masindi Woman MP, Jalia Bintu asked whether the ministry has got internal mechanisms where cases or complaints are handled. "We have received cases of that nature and I have handled them myself, we have a formula of how we arrive at the compensation," said Bigirimana. He further said beyond himself, the medical board handles complaints and compensations. The committee tasked Bigirimana to explain his 2013 compensation yet several police officers have not been paid since 1996 despite claiming smaller amounts. He explained that he was involved in a helicopter crash and sustained injuries. "I was operated and that assessment was not done by me, it was by the ministry of Gender before I went there," Bigirimana said. At the time, he was the permanent secretary in the Office of the Prime Minister (OPM). Ntungamo Municipality MP, Gerald Karuhanga put it to him that he used his office in OPM to call his colleagues in Gender to process his claim, a claim Bigirimana rejected. One wants to understand why with such financial ineptitude on the part of this NRM government, this government is inviting in the rich to come and invest in this country without paying tax unlike the rest of the citizens of this country. 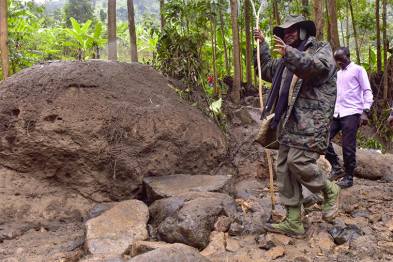 President Yoweri Museveni of Uganda has apologized to the people of Bududa for the delays in the relocation of communities from mudslide prone areas. Museveni said that the delay was because he was misled by some people in government. However Museveni did not say how he was misled and by who. 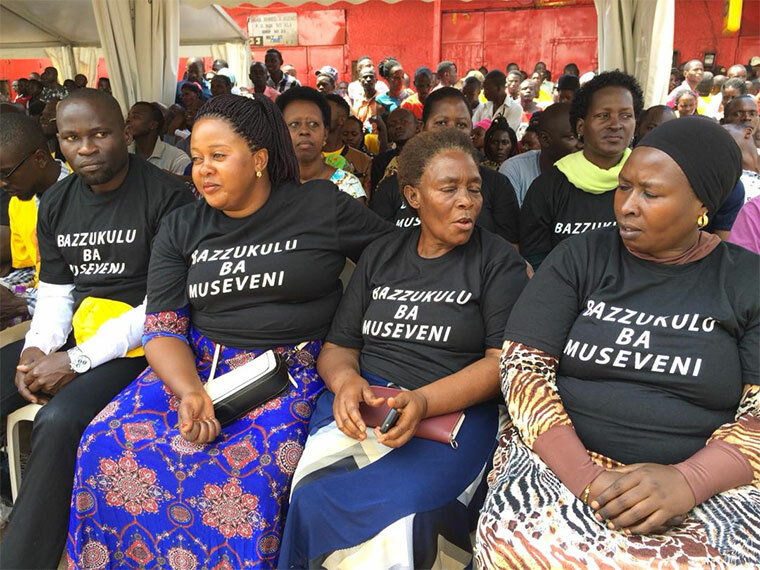 The president was on Sunday speaking during a church service in memory of the Bududa mudslide victims, at Bukalasi secondary school playgrounds. Museveni said that following last Thursday's disaster, relocation is no longer debatable. He said that cabinet will today Monday discuss the issue of relocating people to safer areas. Museveni also promised to give Shs 5 million to the families who lost their loved ones and Shs 2 million to the survivors. "I want to extend my condolences to the families who lost their dear ones and to those who were injured. I will send Shs 5m per family of the people who died and then send Shs 2m per family of the people who died but it will come through the chairman and the CAO, they are the ones who know." said Museveni. According to Uganda Red Cross Society (URCS), a total of 43 people lost their lives and 139 households with a population of 695 people were affected. Of these, 278 are children under 5 years. President Museveni also said that relocation is not by force and that those who are not willing to leave, houses will be constructed for them in the safer trading centres. "When we ordinary people come and say Were was wrong I will settle where the water should be. It is now unfortunately clear but after losing so many lives that that was not a wise decision." Museveni added. Willson Watira the LC V chairperson of Bududa told the president said that the residents are ready to relocate. He explained that the issue of politicians refusing people to relocate is now history. "Stories have been going around indicating that people of Bududa have totally refused to be relocated…That was a story of the past, these people are ready to be relocated and even if you say we move now, am sure they can be your bodyguards." Watira said. The prime minister Ruhakana Rugunda said that lessons to learn from the incident is that whoever is involved in the process of relocation should speed up the process to avoid further loss of lives. Indeed this long serving President is constantly being misled on how to spend taxpayer's money on almost any state item of expenditure! That is why this Poor African country is accumulating international debts that are proving impossible to pay back! What sort of African economics is this that governments subsidise middlemen traders(retailers and wholesalers) in a market system? In many modern national and international markets the internet is becoming the go between the product and the consumer. Even the uneducated Ugandan President, Idi Amin understood such a simple economic principle and had to regulate the Asian traders. Uganda’s public debt has been sporadically rising from only $1.9b in the 2008/09 financial year to over $11b currently. Members of Parliament on the Public Accounts Committee have expressed fears that the high rate at which the government is borrowing is not sustainable and risking the country’s national assets in the event that government fails to pay back the money. The MPs last week had a discussion with finance ministry technocrats on the management of Uganda’s public debt during which they also expressed concern that government has secured many loans which are idle as the country pays interest on them. In the 2017 Auditor General’s report, it was revealed that over sh18 trillion which government had borrowed was lying idle due to delayed implementation of the projects for which the money had been borrowed. “As a committee, we have come across so many loans which are redundant and we continue paying interest on them,” said Angelina Osege, the chairperson of the committee. Wanyera explained that upon the implementation of the Standard Gauge Railway, the country’s debt to GDP ratio will reach 47%, which is close to the red mark of 50% which is the maximum recommended for borrowing, beyond which further borrowing becomes unsustainable. Opolot also castigated government over what he called over borrowing domestically, which he said denies adequate credit to the private sector companies and therefore not only hurts the economy, but also worsens the country’s public debt burden because loans from commercial banks are very expensive. “We do not want Uganda to get into such problems arising from government over borrowing. 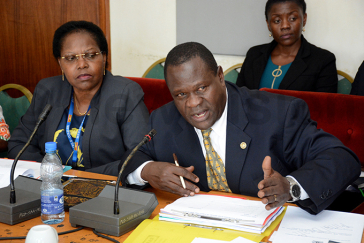 The ministry of finance should not fail the country in this,” Opolot argued. Explaining concerns on government borrowing expensive loans from commercial banks, Ocailap explained that they only go for such loans as a last resort after failing to secure money from the other available options of getting cheaper loans. With sh10trillion (32.7%) of the sh32.7trillion for the 2018/19 national budget allocated towards debt repayment, this now takes the biggest portion of the national budget. According to the order paper, the minister for finance is today (Tuesday) expected to present a statement during Parliament’s plenary sitting on the state of Uganda’s public debt.